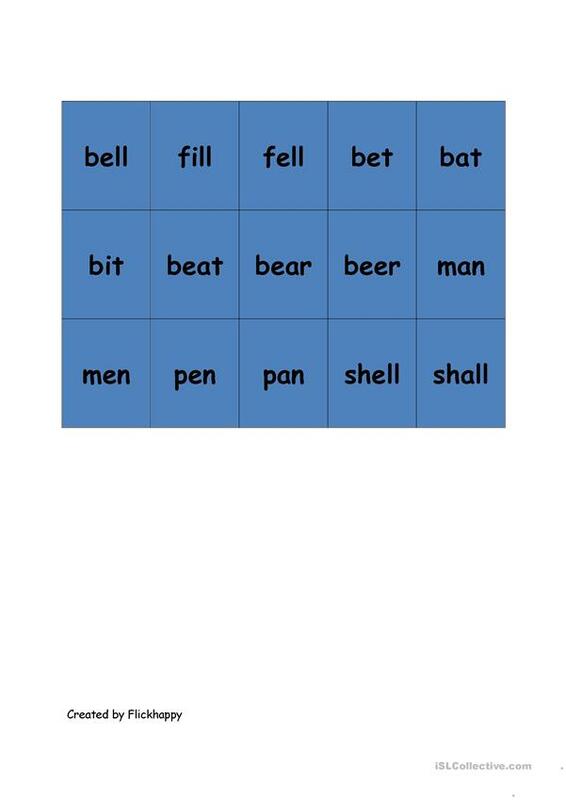 This game uses minimal pairs to help students to hear and say problematic vowel sounds. 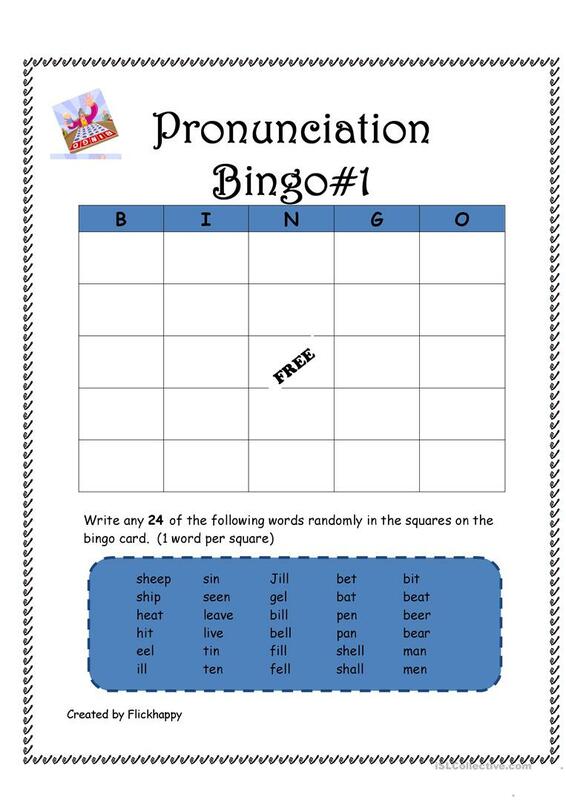 The above downloadable printable is meant for business/professional students, high school students, elementary school students and adults at Elementary (A1), Pre-intermediate (A2), Intermediate (B1), Upper-intermediate (B2), Advanced (C1) and Proficient (C2) level. 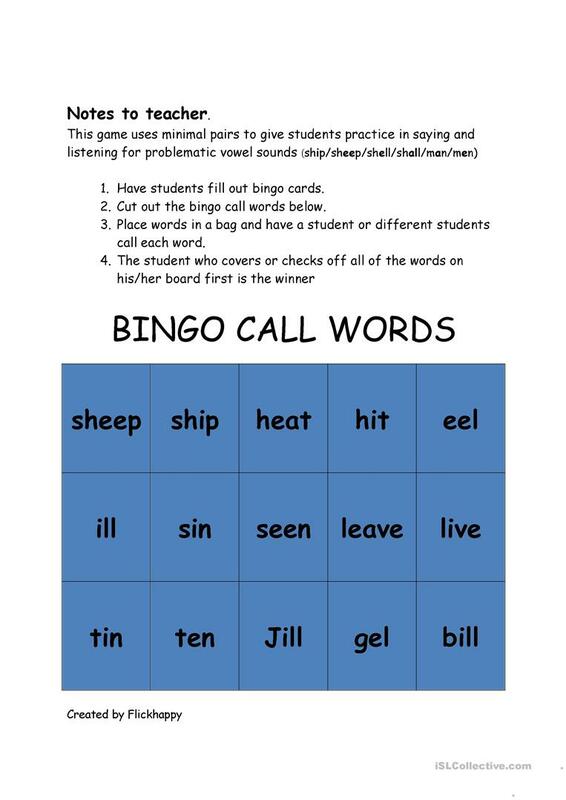 It is useful for strengthening your learners' Listening, Speaking and Reading skills.